I manually extracted the above driver using 7-zip then installed it. 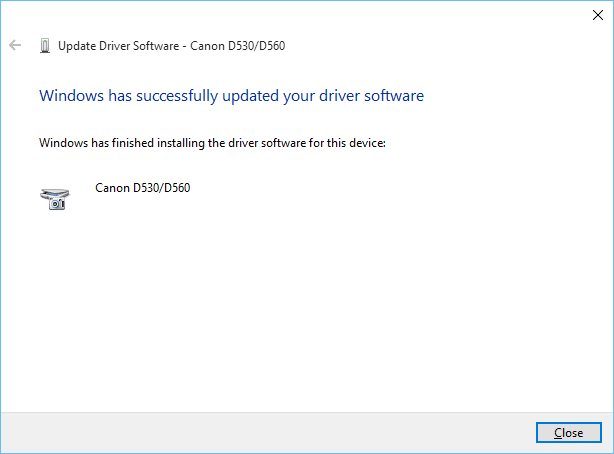 Voila, updated driver 🙂 You may also use the Canon automated driver if you prefer! Thank you for this! Our church got a new Canon D530 printer and we could not use it with our recent Windows 10 PC. After using the driver you provided at the mirror link, we now have it worked 100%! Thank you again and God Bless you .